This is a new feature for the blog where I post my goals to hold myself accountable. I’m putting my June 2018 goals up here for all to see. It also might be a short-lived feature! Sometimes I have trouble staying focused…. Years ago I had a Taylor on Time planner. Well, I still sort of have it. This is a leather binder that held several sections: telephone log, delegation record, notes, an address book, and a calendar that I’d have to buy a refill every year for about $25. At the front of each year’s calendar there was a place to write down your goals, and the idea would be to block time off each week or month to work on achieving the goals that were written down. The calendar ran Monday to Sunday and dropped down between 7am and 9pm where you could write in your appointments or to do list. At the top of each days were follow ups and action items. At the side of each page were weekly action items. It was a very good organizational calendar, definitely worth the $25 refill price each year. The last calendar I purchased is still inside the leather planner. 2007. I’m sure everyone has just figured out that I have a hard time dealing with paperwork! Recycling and chucking it that is. Not to mention I don’t use that planner much! LOL! Only for the address book portion these days. I randomly opened up to the week of November 5 – 11. Everything is blank except at the top under follow ups I wrote Tessa got pills on two days, and another day that Tessa started Prednisone. 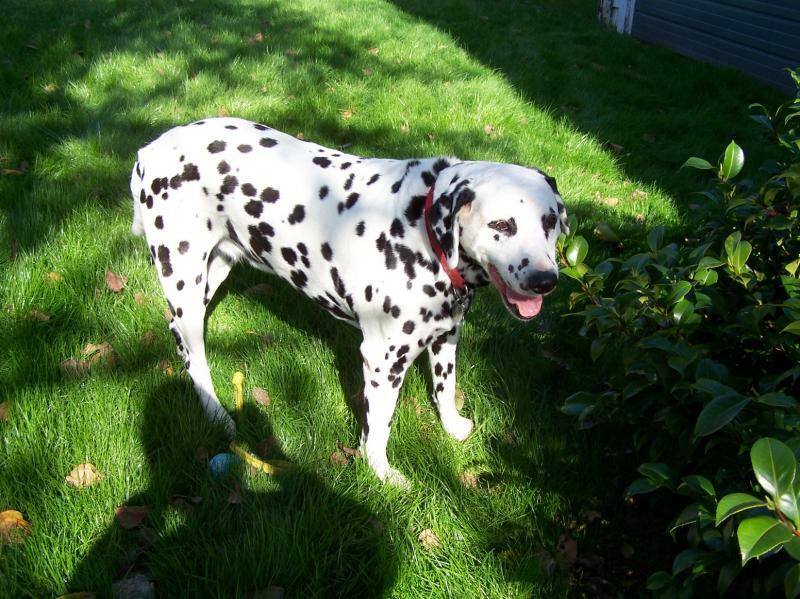 Tessa was my sweet Dalmatian that I rescued in 2005. Sadly she only had 4 years to be my big brave girl before passing on in 2009. My goals that I wrote at the front of the 2007 calendar were to pay down at least 75% of debt by December 31, sell 10 magazine articles by December 31, and finish Dangerous Cache by July 31. I can say that I failed at all 3 in 2007, so writing down goals doesn’t always mean they’re going to be accomplished, no matter how you’re always hearing that by writing down your goals there’s a better chance of achieving them. The good news is that I paid off all my debt, just not in 2007. Had to get divorced and struggle to pay it down over the next few years, but I did it! Yes! I am debt free! As for magazine articles, I know for sure I’ve sold more than 10 since 2007, though I don’t believe I’ve ever sold as many as 10 in any one single year. And what is Dangerous Cache, you’re asking? That was a romance novel I started writing. And then stopped. And then changed it around. And then switched it back. And stopped writing it altogether. Even taylorintime.com is no longer selling organizational products. Well, a couple, but he used to have all kinds of inserts to go inside the planner and several organizational books. I suppose with the invention of smart phones and online calendars with reminders many of his products became obsolete. Why spend money on a paper product when something similar is available for free online? 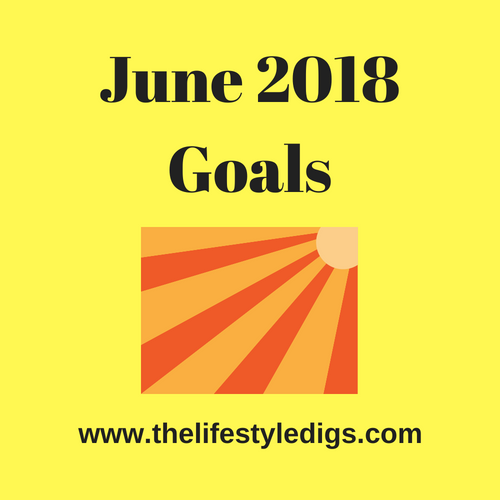 I’ve really digressed from what I’d originally planned this post to be about – my June 2018 goals. Put them up on my blog and hold myself accountable. Let’s start with my goal to fund my TFSA for 2019, seeing as 2018 is already funded and invested. In case anyone is wondering how I invested the $5500 2018 contribution, I bought shares in CN Rail. As of right now that’s the same plan for my 2019 contribution too. Unless of course the Canadian government decides to up the TFSA contribution amount in 2019! That’ll throw a wrench in to my plans! It’s been $5500 for the past few years, and that’s what I’m shooting for. My goal is to save $500 each month to put towards next year’s TFSA contribution. No easy feat when I’m a single woman who lives in one of the most expensive rental markets in Canada and I’ve never had a high paid job. That’s right. I’ve never broke $20/hour in my lifetime of working and I’m a single income household. I put $120 from each paycheque into my savings account for next year’s TFSA. I have dividend income from investments and for the most part that all goes into the same savings account. At month end, anything greater than the $500 saved for next year’s TFSA goes into my vacation fund. As of the end of May I have $2500 saved towards my 2019 TFSA contribution. Woo hoo! And I’m on track for June. My vacation fund as of the end of May is $2499.95. LOL! When a few pennies interest hits at beginning of the month it should top $2500. I got a little boost by putting some of my tax refund in there and also I’ve had a couple of stocks bought out by other companies and in both cases I received a partial cash settlement and partial stock options in the purchasing company, so that excess topped up the vacation fund. Generally speaking there’s no guarantee I’ll have much over my $500 TFSA savings each month to transfer into my vacation fund, but right now it’s doing good. Where am I going on vacation? Even though I’ve talked about going to Hawaii when my shares in Aphria crack $35 and I sell them, I’m pretty sure I’m going to Oregon. Road trips work best for me because I travel with my dogs. I’ve been to or through Oregon countless times. Generally speaking Oregon is just that state you drive through coming and going to California, but I have done a few weekend getaways to Portland and coastal towns. I’ll write more about my vacation plans in a future post. One of my most important goals is to incur no further debt. I rarely use my credit card. Mostly it’s for emergencies, like an unexpected car bill, when I’m traveling and conserving cash, or buying things online. I don’t buy that much online, a couple of times a year something from Amazon and I buy supplements for myself and my animals from a shop in Edmonton. Every two or three months, whenever I’m getting low on supplements, I make a purchase. I pay off the credit card bill when it comes in. So far that’s not a problem. Another goal is always to get more exercise. Isn’t that everyone’s goal to live a healthier lifestyle, make better food choices, and get more exercise. In April I took my bike in for a tune up and new tires and I’ve been riding it fairly regularly to work in the afternoons. As long as it’s not raining, I ride my scooter to work, come home for lunch to tend to the dogs, and then I ride back on the bike. Pedal power! It’s about a 15 minute ride, so every little bit counts. I’ll check back in a month with the June recap. Good luck with the goals! I’m pretty sure you can do it seeing how successful you are at saving. You also love your horses so l’m sure you’ll definitely find a way to ride at least twice each one :-). Looking forward to seeing how well you do. Thanks Kemkem. Well you know, one of my horses isn’t so pleasant to ride. 9 times out of 10 no problems. Then all of a sudden it’s like he’s forgotten everything. Except how to throw a tantrum.